Our Focus is On Our Students! Thank you for your interest in our program. We are committed to providing students with a complete and comprehensive education. Our Company was founded in 2000. Approved by the Dental Board of California and the Dental Assisting National Board, Inc., as a provider of continuing education. Recognized as A+ by the Better Business Bureau. A proud recipient of the Jose Business Hall of Fame award for seven consecutive years; Best of San Jose Award 2009-2015, and voted 2015 Best of Silicon Valley In the Educational Services -Dental Professionals category by the San Jose Award Program. We truly enjoy working with our students to give them the feeling of accomplishment that they have always wanted and these awards recognize OUR commitment. Whether you are a dental professional, prospective student, or visitor - we invite you to explore our world through our website. Please take a few moments to browse through our site and learn what other services we have to offer. Dental Board of California Subject matter Expert SUBJECT: Taskforce for RDA and EF written exam, the RDA practical licensure program, as well as SUBJECT MATTER EXPERT Occupational Analysis. 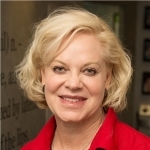 Suzie Dault, a Bay Area native, is the Founder of Dental Specialties Institute, Inc. which has been open for the past 17 years. 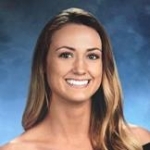 She attended Oak Grove High School and went on to The California State University, Sacramento where she graduated with a Bachelor’s of Science degree in Career and Technical Studies with Deans honors. 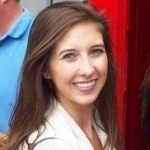 Suzie played an active role in the student body at Sacramento State and served as class Vice President. She has been involved in aiding the state of California standard setting for her profession. She was a member of the Dental Board of California Subject matter Expert SUBJECT: Taskforce for RDA and EF written exam, the RDA practical licensure program, as well as SUBJECT MATTER EXPERT Occupational Analysis. Suzie has worked for over 30 years in the dental field as a CDA, RDAEF, and OMSAA before retiring chairside to dedicate her energy to her passion of education. 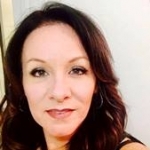 She has maintained the philosophy of providing the highest quality and one of the most comprehensive dental assisting certification programs in the area. Suzie is very proud to have been the recipient of the Jose Business Hall of Fame award for seven consecutive years; Best of San Jose Award 2009-2015, and voted the 2015 Best of Silicon Valley In the Educational Services - Dental Professionals category by the San Jose Award Program. She truly enjoys working with her students to give them the feeling of accomplishment that they have always wanted and these awards recognize her commitment. 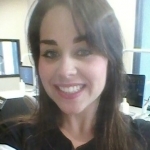 Suzie has a special interest in cosmetic and restorative dentistry and enjoys attending continuing education courses with her husband Scott who is a periodontist. 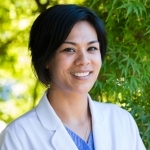 Her professional affiliations include the Santa Clara County and Monterey Bay Dental Society, California Dental Association, CALSae-California Society of Association Executives, Dental Assisting National Board, the American Dental Association and the Academy of General Dentistry. Outside of the school, Suzie enjoys spending time with her family. 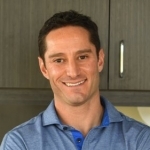 Dr. Scott Dault is a periodontist, a specialist who has completed several years of post-doctoral training in gum disease, dental implants and the treatment of gum and bone tissue. Dr. Dault is very experienced in all phases of periodontal therapy from diagnosis, treatment planning, and surgical and non-surgical treatment modalities. He is also experienced in dental implant surgery, including bone and soft tissue grafting associated with implant treatment. 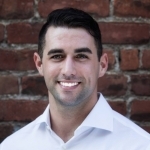 Dr. Dault attended San Jose State University for his Bachelor’s degree and had a prior career working in the semiconductor industry in Silicon Valley. In search of greater fulfillment, he pursued a career in dentistry. He earned his D.D.S. degree from the University of the Pacific School of Dentistry and completed his Periodontics residency at the VA – West Los Angeles program which is affiliated with the University of California, Los Angeles. Prior to earning his dental degree Dr. Dault worked in the semi-conductor industry. While interesting he desired greater fulfillment, and he pursued a career in dentistry. Dr. Dault is interested in implementing newly developed therapeutic approaches of using growth factors to improve periodontal and implant surgical results. Prior to and during dental school, he participated in research projects focusing on the use of growth factors for gum and bone regeneration. These past research experiences aid him in bringing the latest advances in tissue engineering to clinical periodontal and dental implant therapy. Dr. Dault enjoys spending time with his wife Suzie and two children, Anthony and Ashley, as well as staying physically active by enjoying bicycle riding, regular exercise, and an occasional motorcycle ride. I consider myself to be a lifelong learner. I attended the University of Arizona where I graduated with a Bachelor’s degree in Health Science. I continued on to the University of Southern California School of Dentistry where I earned my Doctorate of Dental Surgery, my Certificate in Orthodontics, and my Master’s degree in Craniofacial Biology. I’ve always made it my priority to help support the great community I serve, from supporting the local schools with they're various fundraising activities to sponsoring the Evergreen Little League. I am currently working with the Evergreen Elementary Community-in-Action group to help support the local schools and they're students and I am an active member of the Evergreen Business and Professional Association. 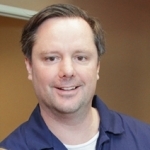 A graduate of UOP, Dr. Roderick has been providing the highest quality of dental care for over 16 years. Dr. Roderick is also a graduate of Las Vegas Institute for Advanced Dental Studies and active member of many other organizations. 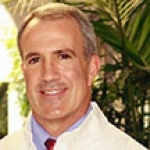 Dr. Roderick has been voted one of 2010 Top Dentists. She is very caring and dedicated to her patients. 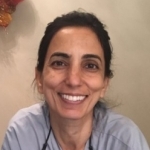 DR. SHARAREH TAJBAKHSH IS A PROSTHODONTIST SPECIALIZING IN PORCELAIN VENEERS, FULL MOUTH REHABILITATION, AND THE PLANNING AND PLACEMENT OF IMPLANT RESTORATIONS. Dr. Tajbakhsh’s practice philosophy is to always strive for perfection. She is only satisfied when she achieves excellence and believes it is essential to really listen to the patients and understand there needs and desires. Her multiple language skills in English, French, Spanish, and Farsi facilitate her day to day patient communication. She works to educate all her patients so that they can take an active role in there treatment and accomplish the smile they desire..roll in there treatment and accomplish the smile they desire.roll in there treatment and accomplish the smile they desire.Tajbakhsh’s practice philosophy is to always strive for perfection. She is only satisfied when she achieves excellence and believes it is essential to really listen to the patients and understand there needs and desires. Her multiple language skills in English, French, Spanish, and Farsi facilitate her day to day patient communication. She works to educate all her patients so that they can take an active role in there treatment and accomplish the smile they desire. Appreciating the value of the community, Dr. Tajbakhsh is committed to volunteer her services, providing dental care for patients at the Samaritan House Free Clinic, a non-profit organization located in San Mateo and Redwood City.Tajbakhsh is committed to volunteer her services, providing dental care for patients at the Samaritan House Free Clinic, a non-profit organization located in San Mateo and Redwood City. Dr. Sharareh Tajbakhsh is a member of the American College of Prosthodontics, the American Dental Association, California Dental Association, the American Academy of Cosmetic Dentistry, the Santa Clara County Dental Society, and University of the Pacific Alumni Association, University of Washington Graduate Prosthodontic Alumni Association, Pierre Fauchard Academy, and Health Volunteer Organization. In her free time, she enjoys laughing, reading, jewelry making, and cooking. Her outdoor activities include hiking and skiing. 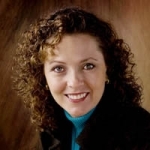 Dr. Aura Marcela Torres was born in Villavicencio, Colombia and attended San Martin University in Bogotá, graduating with honors in Dental Medicine in 1988. After moving to the U.S. in 1990, she continued her studies in general and restorative dentistry, earning her license to practice dentistry in California in 1994. 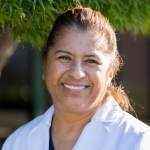 Dr. Torres worked three years as an associate with a specialist in pediatric dentistry and ran the University of California Santa Cruz Dental Clinic for five years. Professional memberships include ADA (American Dental Association), CDA (California Dental Association) and MBDS (Monterey Bay Dental Society). Dr. Elena believes that patient education is the key to delivering the best care possible. She prides herself on her interpersonal skills and ability to listen to her patients’ needs. Her goal is to provide patient-centered, comprehensive care through a minimally invasive and gentle approach. Understanding that dentistry is more then just treating teeth, Dr. Elena takes a more integrative approach to care. 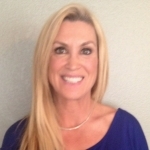 She strives to remain at the forefront of a continuously evolving field and is completing advanced training in neuromuscular dentistry at the Las Vegas Institute for Advanced Dental Studies. Dr. Elena looks forward to meeting you at you're next dental visit and helping you get one step closer to optimal oral health! Dr. Mahnaz Gorgani received her undergraduate education at Southern Illinois University, receiving a B.S. degree in Biology and Medical Technology in 1983. While working as a supervisor in a Blood Bank Laboratory in St. Louis, Missouri, she attended Washington University School of Dental Medicine, graduating in 1988. Following this, she participated in a general practice residency program in Rochester, New York. After her residency, she practiced general and geriatric dentistry in St. Louis, Missouri, and then Tampa, Florida. 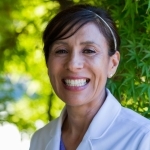 Dr. Gorgani has been practicing family dentistry since 1996 in Cupertino, limiting her practice to children. She loves working with children and offers community presentations for children about preventive dentistry. 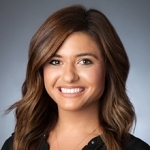 She is a member of the American society of Dentistry for Children, California Dental Association, Santa Clara County Dental Association, and the American Dental Association. She is licensed in the states of California, Missouri and Florida. Dr. Gorgani and her husband, Dr. Nick Gorgani have two children. A true dental family, her husband is a pediatric dentist practicing in Los Altos. They enjoy traveling, skiing, spending time with they're children and cooking at home. 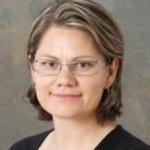 Dr. Levkovic has been a dentist for years and has been through several post graduate courses in different fields of dentistry since receiving her D.D.S. degree. Her emphasis on patient comfort as well as keeping up-to-date with the latest advancements in dentistry enable her to provide patients with the best quality of care in the field. Dr. Levkovic has a wide range of experience in different areas of dentistry. Her approach to you're treatment starts with patiently listening to you. Then, after a complete and thorough examination, she reviews and discusses the diagnosis and treatment options with you. "I am proud to provide my patients with the best in dental technology, treatment options and patient comfort. It is my pleasure to address all you're questions and concerns." Dr. Natalie Vanderkam grew up in Santa Clara County and is a long-time patient of the Cupertino Dental Group, giving her a unique insight into the patient experience and inspiring her to become a dentist. She attended the University of California, San Diego for her undergraduate studies in biology and French literature. She than went on to attend the University of the Pacific School of Dentistry in San Francisco, where she graduated in the honors society and was included in the 2002 Who?s Who of American Colleges and Universities. After her graduation in 2002, she completed a residency qualifying her to specialize in Pediatric Dentistry at the Cincinnati Children?s Hospital Medical Center in Ohio. Dr. Natalie is a board certified Pediatric Dentist, making her a diplomate of the American Board of Pediatric Dentistry. She is a member of the American Dental Association, the California Dental Association, the American Academy of Pediatric Dentists, the California Society of Pediatric Dentists, the Santa Clara County Dental Society and the Santa Clara County Pedodontic Academy. 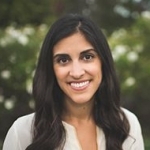 During her residency, Dr. Natalie gained extensive experience with sedation and general anesthesia, orofacial trauma and emergency care, as well as patients with special needs. Dr. Natalie enjoys being out in the community and offers presentations to local preschools and elementary schools teaching them the importance of dental care and prevention. Natalie spends her spare time cooking, exercising, and enjoying the company of friends and family, including her husband, Jeremy and son, Nathan. She also enjoys watching professional baseball and football. 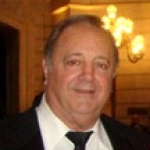 Dr. Lawrence Puccinelli Jr. graduated from Georgetown in 1989 with a degree in Biological Sciences. He than attended Dental School at University of Pacific where he graduated in 1994. Finally, he attended USC where he graduated in 2000 with his certificate in Endodontics.